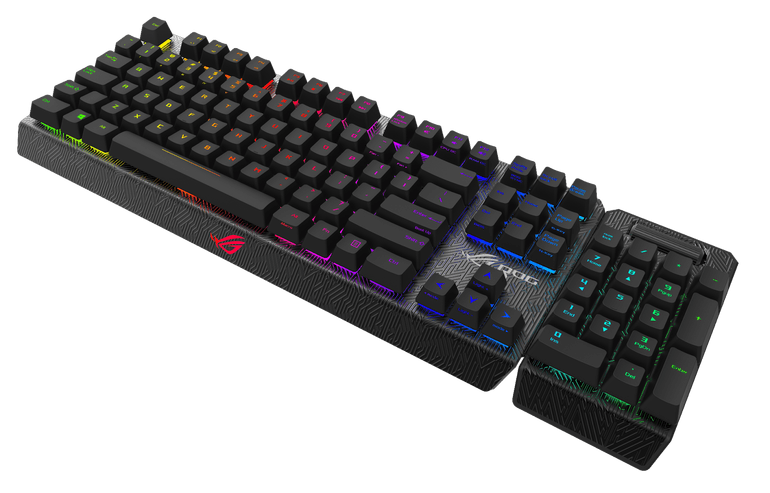 Asus at CES showcased its republic of gamer line ROG Claymore RGB Mechanical Keyboard, which has a unique feature that allows the numpad to be disconnected and attached to either side of the keyboard. Also numpad can be use separately from the rest of the keyboard and has full macro programming keys. The keyboard uses cherry MX RGB switches with 16.8 million colour lighting.